After bringing this issue to the attention of the Manager Maqsood Khalil, he assured me he would look into the situation and educate the editor. He offered me his apology, which I will accept as I don't have time these days to go there personally. Again to those who obviously thought I overreacted I think it's only fair I should be credited for my piece and that's why I made a big deal about it. I'm sure the editor will read it and hopefully next time show courtesy by asking my permission first. What do you mean over reacted! You wrote it and the rules of Journalism are clear across all borders! 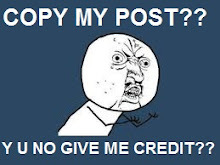 You don't copy! Crystal clear! I can understand some kids copying parts to finish their reports, but this is a publication that makes a profit!